One example is Keep.com, an innovative online commerce startup, which the Huffington Post has called "the only fashion app worth getting". We wanted to share the story of how Keep used Cloudinary to remove a major bottleneck in the development of their website and business. 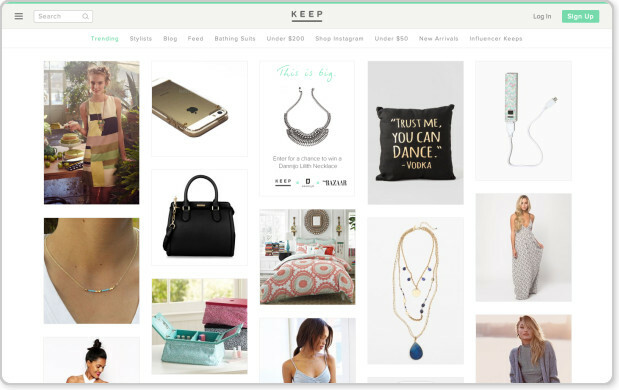 Keep provides users a place to go when they want to discover and buy the latest trends in fashion, decor, accessories and design. 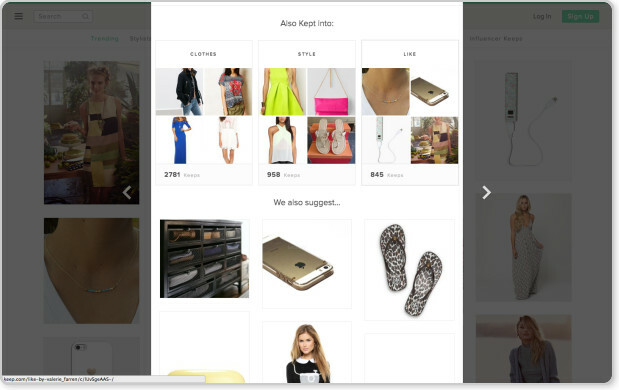 Keep's community aggregates products from across the Internet into a showcase of emerging trends. Unlike Commerce 2.0, where an online retailer simply sells products online, or Commerce 3.0, where online shopping is enhanced by social sharing, Keep gives shoppers a way to discover and buy trends as they happen — on Instagram, TV and from other popular trendsetters. They call this Commerce 4.0, where goods from across the Web are collected and curated by people with a passion for products. Keep's philosophy is that these passionate consumers will be better merchandisers than traditional retailers, whose merchandising decisions are dictated by business restrictions. Keep's application displays hundreds of thousands of product and brand images, user profile pictures, and user uploaded images. Keep found it was spending a large and increasing portion of developer time on managing image transformations, every time they went through a design iteration of their website and mobile app. Each time a redesign took place, Keep needed new image sizes, and would require reprocessing of all the images. This was not only time consuming from a server perspective, but also caused delays in the development process, due to long waiting times as all the images were being transformed. Engineering resources were wasted trying to set up new image transformations and getting jobs running efficiently, and even so image processing remained a bottleneck. We asked Keep to give us the results on how Cloudinary solved the problems they were facing. 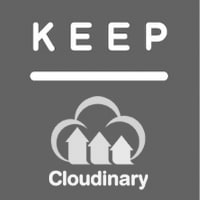 “Keep has been using Cloudinary for over a year now. When we just started, the integration was immediate,” Steve said. “Cloudinary allows Keep to quickly process images on-demand, allowing us to quickly push a new version of our design to production." “Keep has saved significant developer time, including nearly 50% of one full-time developer, just on managing image transformations and writing code to retroactively go back and process images to newly-needed sizes. This number dropped further, to nearly zero, because now any employee can manage Cloudinary via its Web interface." We were pleased by the dramatic change Keep's development went through – from heavy overnight image processing requiring complex code, to an off-loaded cloud-managed process that enables agile development with almost no delays. We're happy to have Keep using Cloudinary, and wanted to thank Steve for taking the time and sharing his experience. Cloudinary users - let us know if you'd like to share your own unique experiences with the Cloudinary community. Stay tuned for more creative ways our customers are using Cloudinary.